Not my picture, but you get the idea. The Canada-only Mercury M100. A little known fact is that the F-Series based M100 wasn’t the only commercial Mercury available. 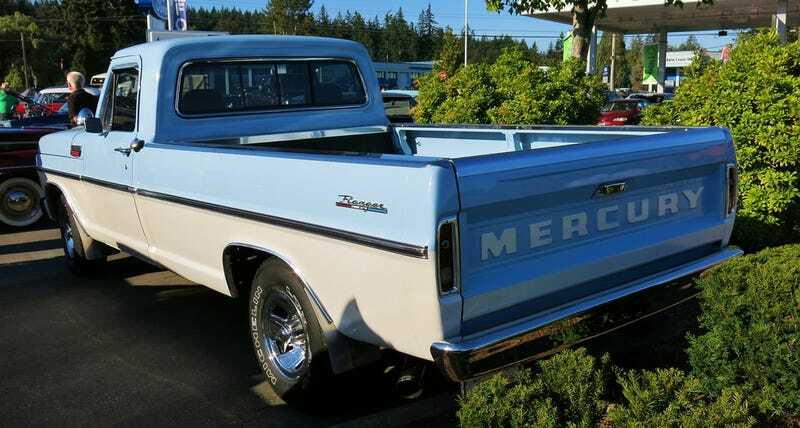 There was also the Mercury Econoline. Which was, as you could probably gather, based off the Ford Econoline van.